Daniel Scott, BCE, has joined Agri-Turf Distributing as a territory manager, calling on the pest control market for the greater Los Angeles region. Scott has more than 25 years of experience in the pest management industry. He began his career as a service technician while still in college. Upon graduation, he was promoted to field supervisor, and later served as a service center manager, central division manager, and eventually as southern division manager for one of the largest pest management companies in California. He also managed his own pest control company. Scott is a graduate of the University of California-Los Angeles, where he earned a bachelor of arts in biology. He is a board certified entomologist (BCE), and holds a structural operators and a field representative license in California. He’s a member of the Pest Control Operators of California, and is active in the association’s San Gabriel and San Fernando Valley districts. 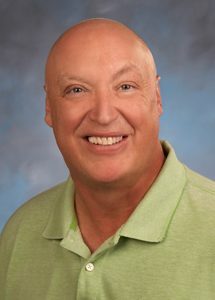 “It is a real privilege to introduce Dan Scott as the new territory manager for Agri-Turf Distributing. He has a wealth of experience in commercial, residential and industrial pest control, as well as the fumigation market. His product knowledge and industry experience make him an invaluable resource for our customers and our team,” says Agri-Turf President Rich Records. Scott is based out of the company’s southern California facility in Santa Fe Springs.